I recommend this product to those who travel quite dessi using the smartphone at full capacity. I recommend it to those who have a smartphone with a used battery and are looking for temporary solutions. 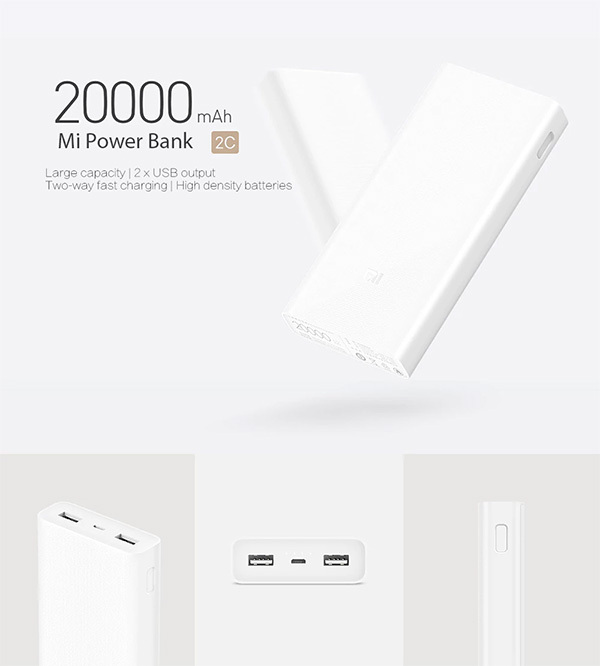 Original Xiaomi Power Bank 2C, 20000mAh super capacity, built-in bi-directional QC 3.0 quick charge smart chip, dual USB output ports, is a great company in your trip. You can easily hold the power bank because of round edge design.